Take a photo tour through the Denali Princess Wilderness Lodge and its beautiful surroundings. You haven’t fully experienced Alaska unless you’ve been to Denali National Park. Its boundaries encompass an impressive six million acres — the size of the state of Massachusetts. Home to Denali, North America’s highest peak towers an unbelievable 20,310 feet in the sky. The Park hosts an array of wildlife from moose, caribou, Dall sheep and grizzly bears to gray wolves and red foxes. 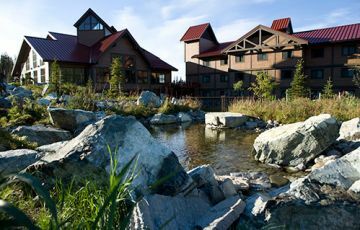 The Denali Princess Wilderness Lodge is the closest and most comfortable place to stay when visiting the park. The entrance to Denali National Park is located only a mile from our front door. With an expansive deck overlooking the Nenana River with views into the park, Denali Princess Wilderness Lodge is the ideal spot to relax, visit with friends, and savor the exquisite landscape. 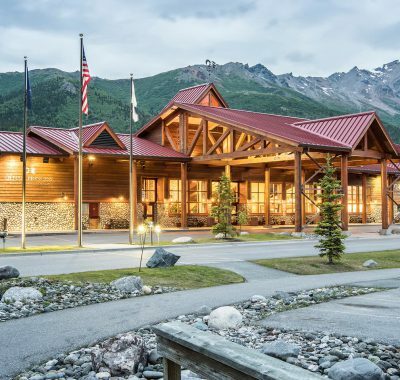 This comfortable wilderness lodge features restaurants and lounges, a cafe, tour desk, meeting rooms, and shuttle service to the Denali National Park Visitors Center. A highlight of many Alaskan tours, Denali National Park is a must-see for travelers. 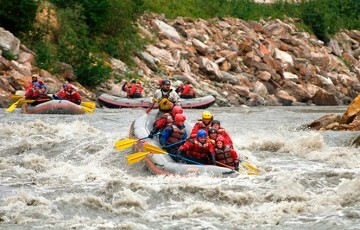 Denali Princess Wilderness Lodge is the perfect base camp for exploring Denali National Park. 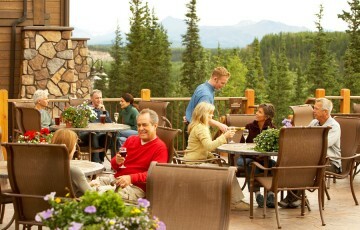 Enjoy a stay at the Denali Princess Wilderness Lodge located just beyond the gates of Denali National Park. Check out our current special offers to save on your stay. Enjoy dinner on the river view deck or inside at Grizzly Burger. 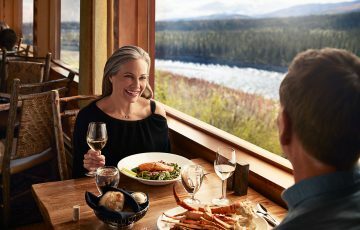 Try King Salmon Restaurant for delicious, Alaskan cuisine and panoramic views. Our rail tours offer you the chance to experience Anchorage or Fairbanks on your way to the lodge. You'll ride in a luxury railcar through the heart of Alaska's storied wilderness. Traveling by rail allows you to relax and truly see the Great Land, while we take care of the logistics. Each of our hotel guest rooms is comfortably appointed with two double beds, two queen beds, or one king bed, television, and complimentary wifi -- just in case you want to catch up with the outside world. Princess' premier accommodations far outshine average Alaska hotels! Part of the allure of Denali National Park is that you never know what you might see. Princess professionals at the Tour Desk are available to arrange a tour into the Park for a glimpse of its impressive ecosystem -- ask for the Tundra Wilderness Tour or Natural History Tour. Perhaps you'd like to go river rafting or learn about the sport of sled dog racing from Iditarod® musher Jeff King. See Denali from the air with a helicopter or airplane tour of this immense wilderness preserve. We provide shuttle service hourly from 7 am to 7 pm between the lodge and the Denali National Park Visitors Center, the Wilderness Access Center and Horseshoe Lake for $5 roundtrip per person. After a day of adventure, you'll be eager to retreat to your cozy wilderness lodge for some peaceful Alaska sleep.